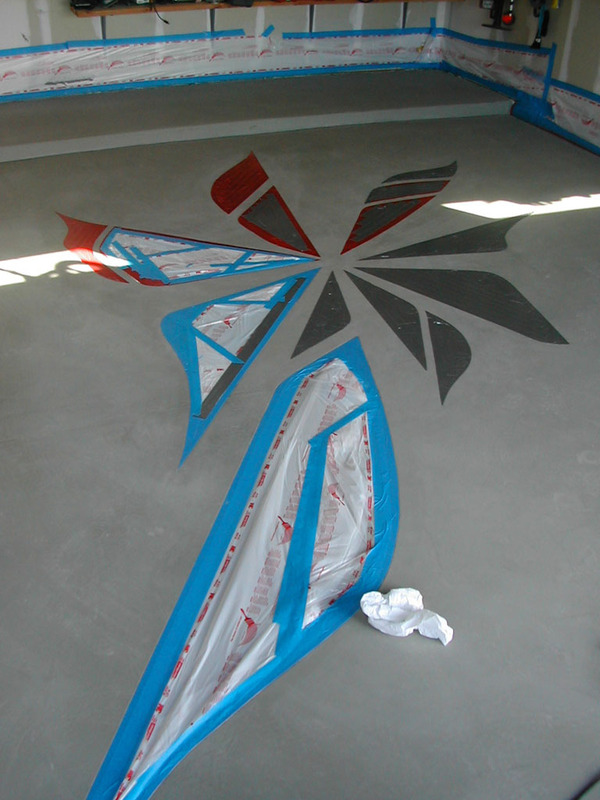 The owners of this home wanted a “Cool” looking Garage floor with some designs they had chosen. 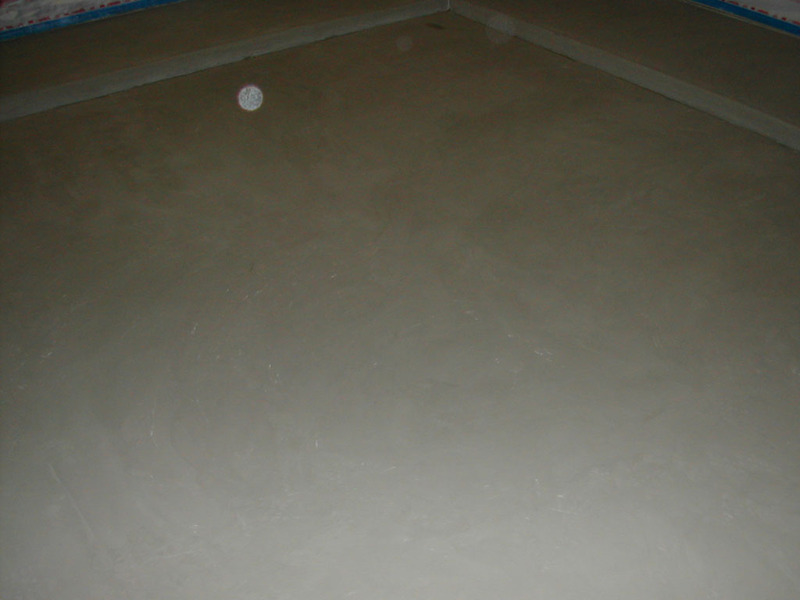 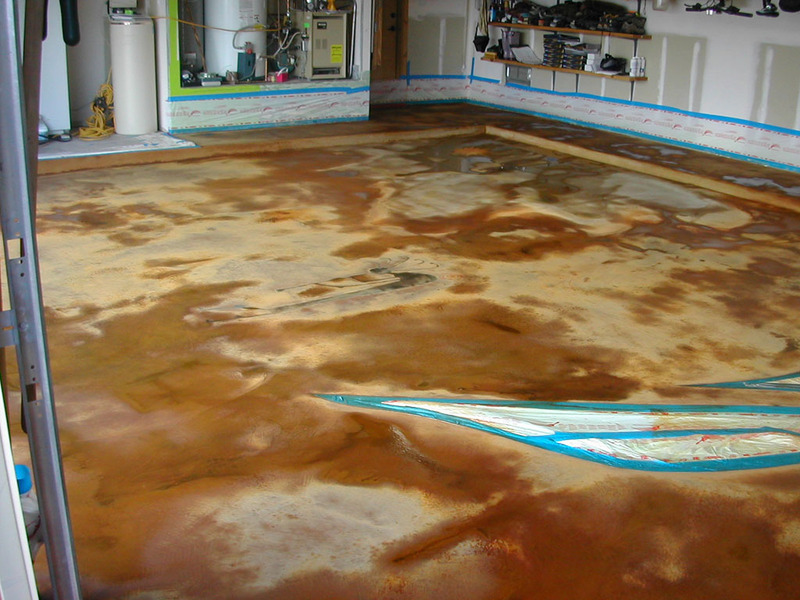 The floor was diamond ground to remove surface contaminants and a microtop coat was installed for a fresh start pallet. 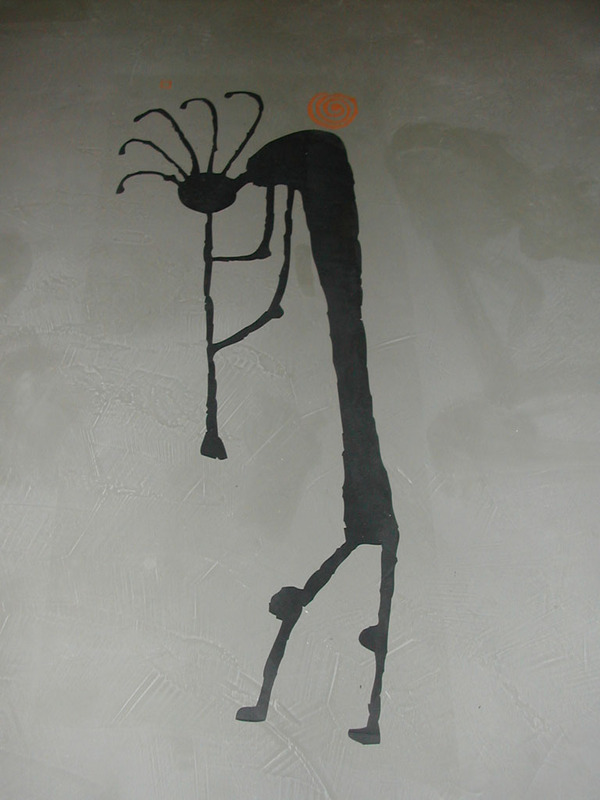 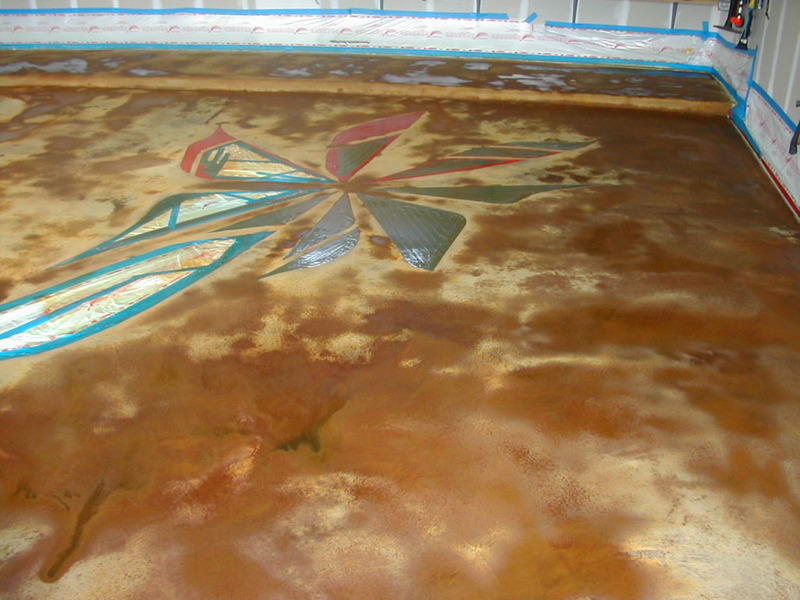 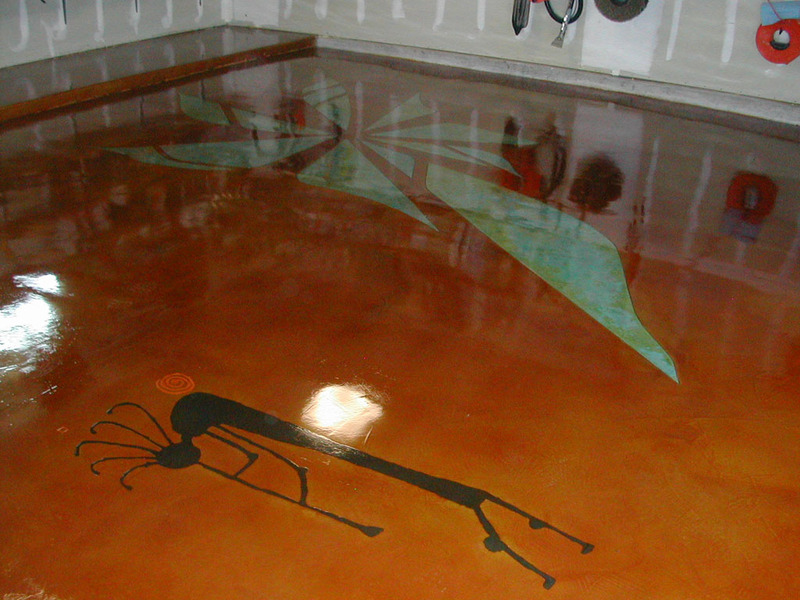 The floor was then chemically stained prior to the installation of selected designs. 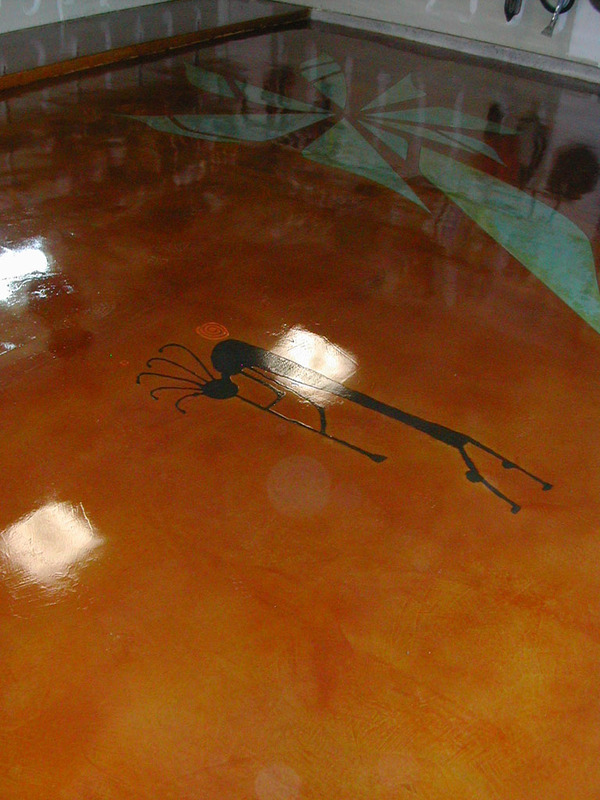 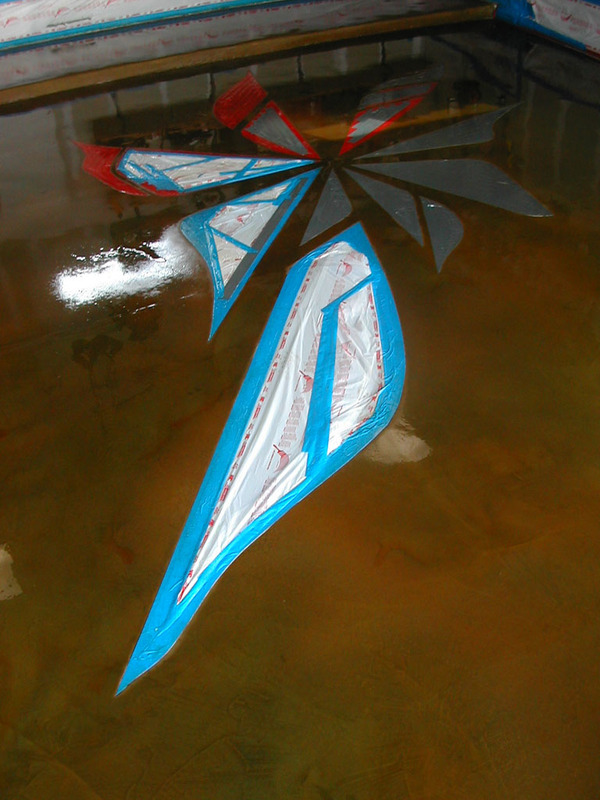 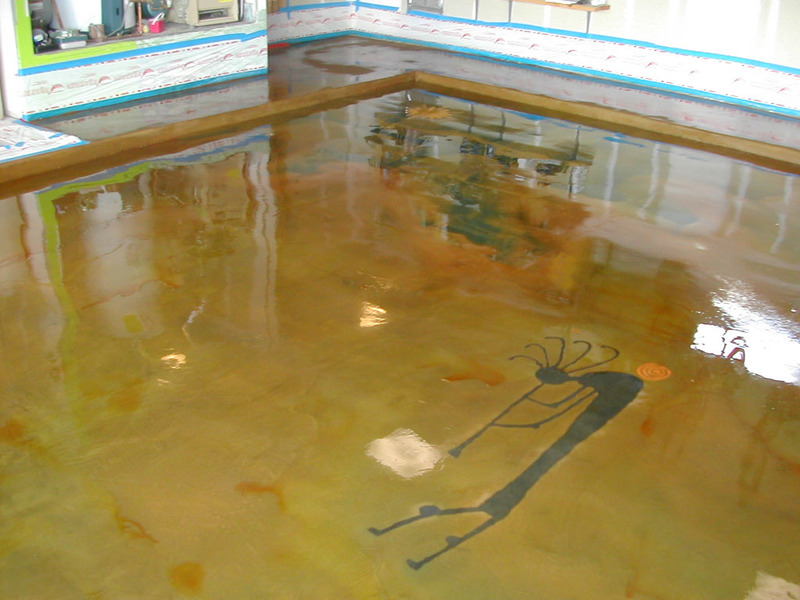 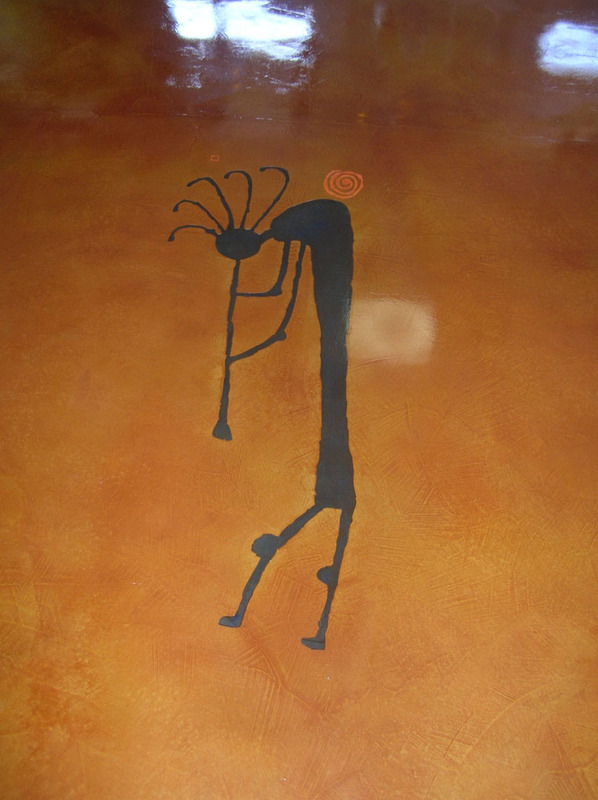 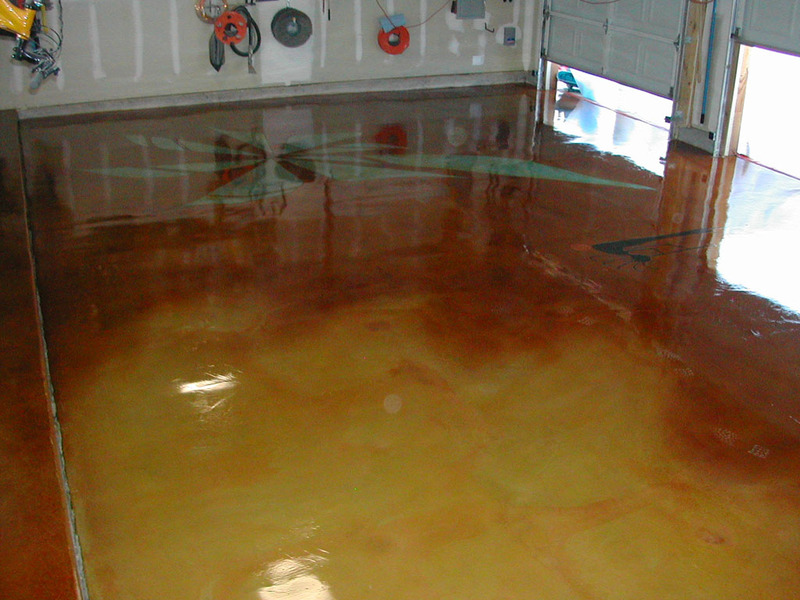 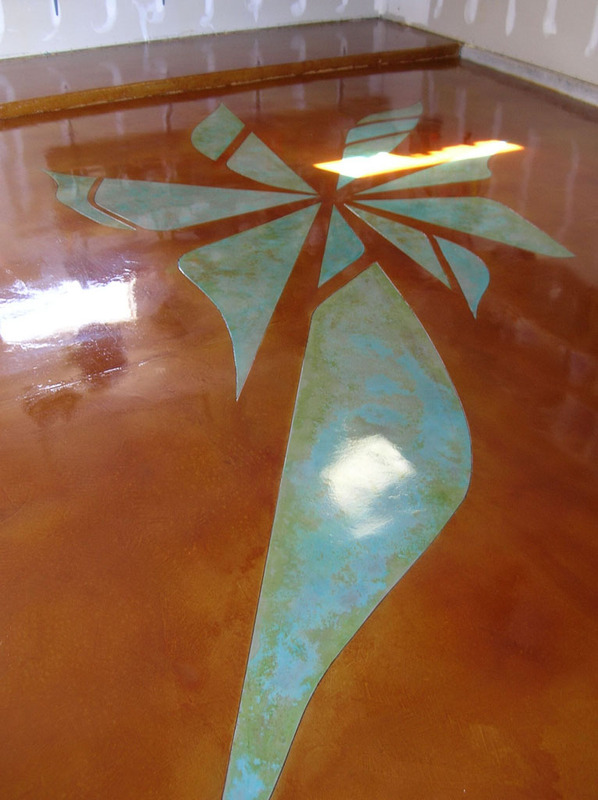 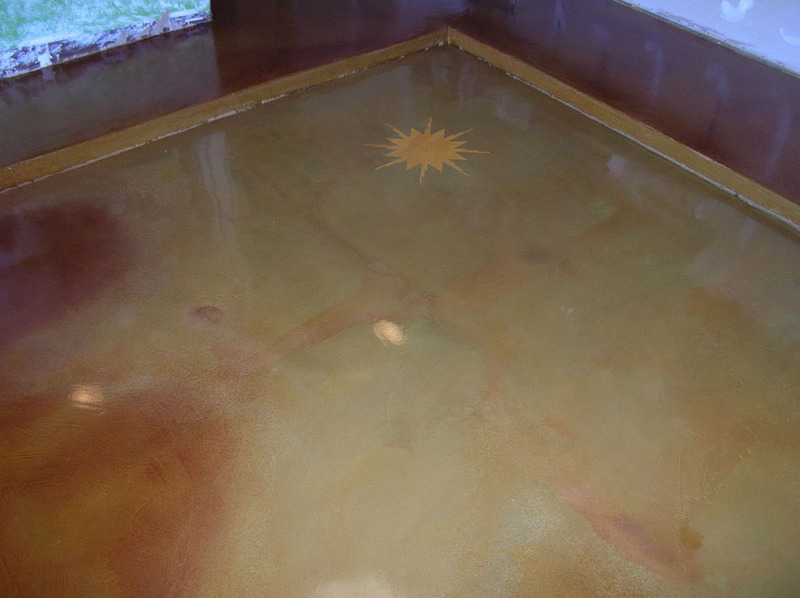 The floor was then coated with a 100% epoxy for durability and chemical resistance.